The WebHost Manager (WHM) is a graphical user interface for resellers to have total control over all domains under their account. 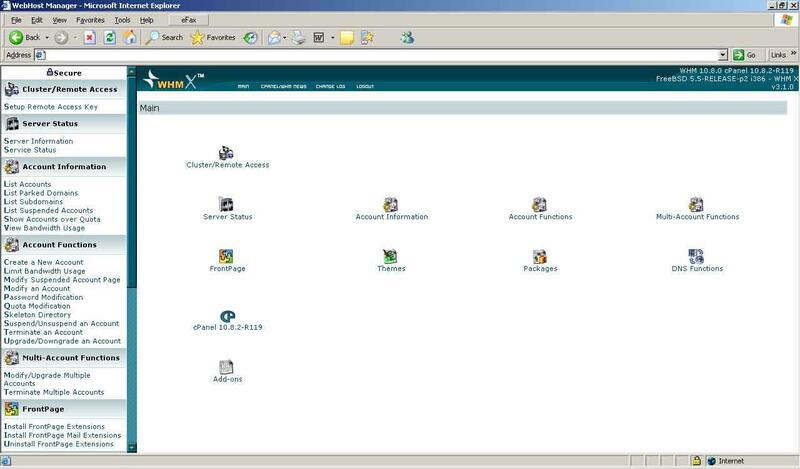 It allows you to create accounts with their own cPanel. There are a multitude of features, which you can find below. 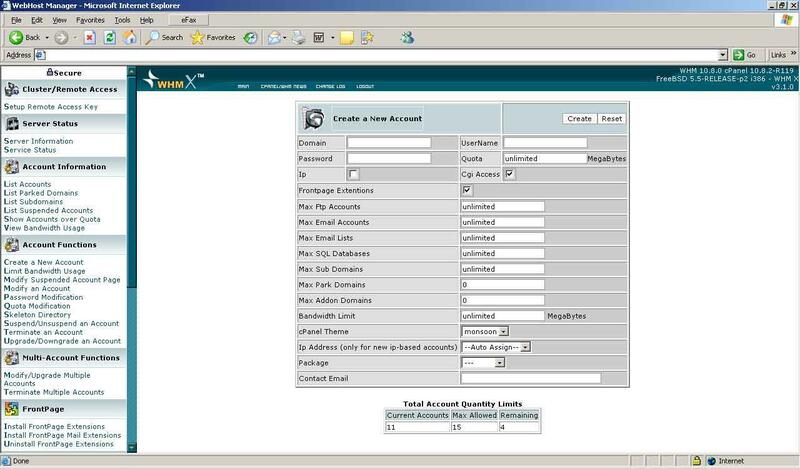 Easily create accounts under your reseller WHM. The creation of each account is simple and efficient. 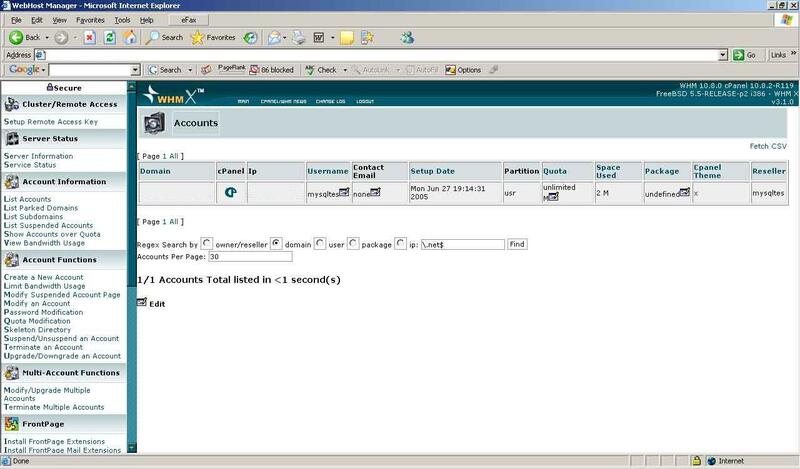 All accounts then created are available within your WHM for easy editing of core features. You can control what your clients get and don't get. View all of your accounts in one single place. Organization and easy, efficient access to all of the accounts under you are available with WHM. Nearly everything can be done within two clicks of the mouse.